Decorative solutions, classical and contemporary, to change your house and your store. We use the new artistic trends, following the desire of the customer, and improve communication with sketches and drawings. A great experience allows us to offer logos and graphic designs of high quality. 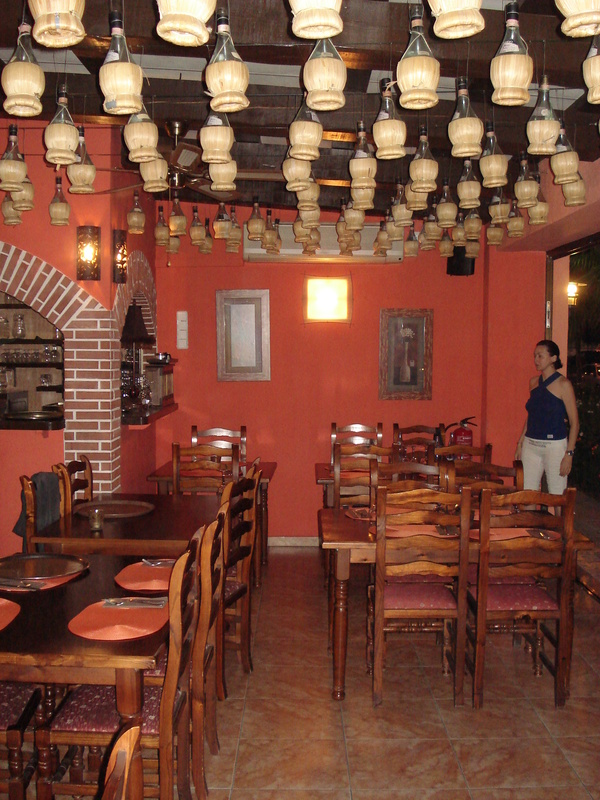 The new setting of the restaurant was established by the owner, his love for the Venetian style, on the one hand,and this range of colors. 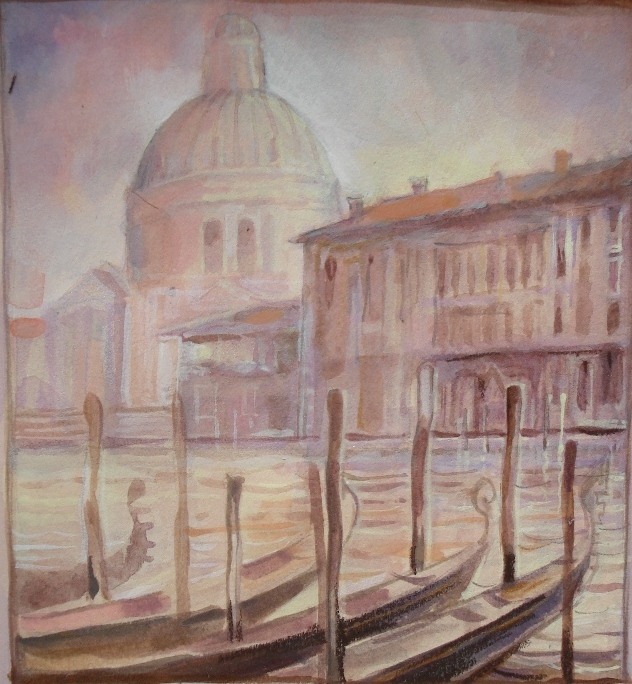 SirakovArt reproduced the sensation of the pink marble walls and put in the wooden beams shows existing, but hidden by old ornate and havy.To increase the feeling of space, using the tecnique of Trompe l’Oeil for the back wall, reproducing the Venetian church of “Santa Maria della Salute”. 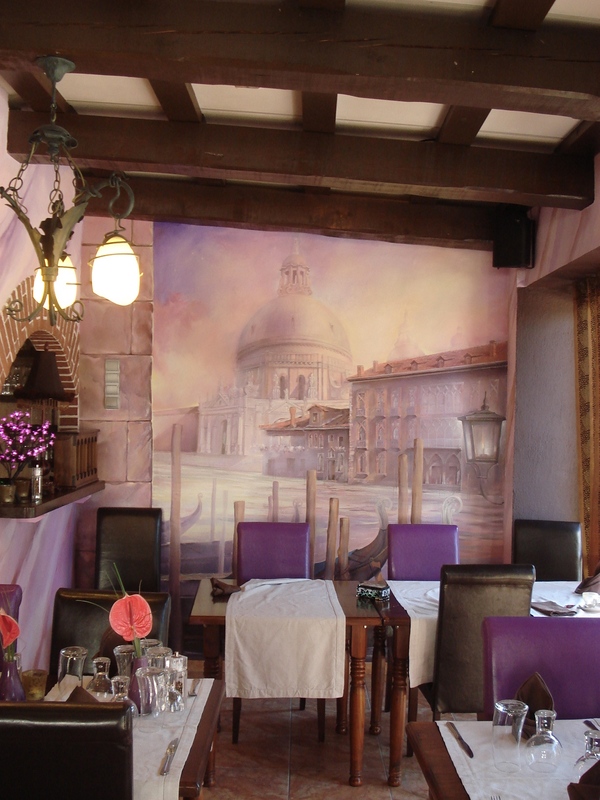 The inability to close the restaurant for a long time, persuaded the artist to paint the famous church on a canvas in real measurement in the studio, to apply it to the wall of the restaurant at a later time. Breaking the classicism of the work, the artist surprises with a floral pattern in contemporary style, decorating a corner of the room unused until now. The floral motifs are still present even in mirrors and three large chandeliers hanging, hand-made. 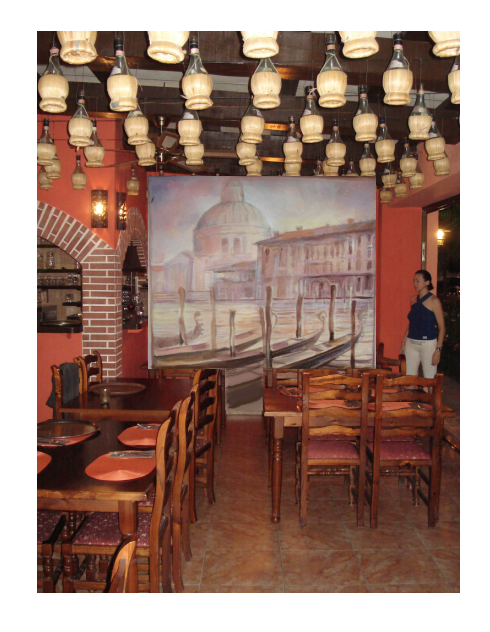 The Venetian style comes from the restaurant to paint the facade, which is adorned with gaudy shapes and warm colors. Two “gondoliers” stylized invites customers to sit in Venice, savoring the atmosphere of one of the most famous cities in the world. To create this illusion, nothing has been left to chance: the terrace, decorated with plants and hand-made mosaic tables, and signs with the logo and colors of the interior. Fantastico!! !Bellissimo lavoro, duro, ma ne é valsa la pena!! Muak cucciolino.